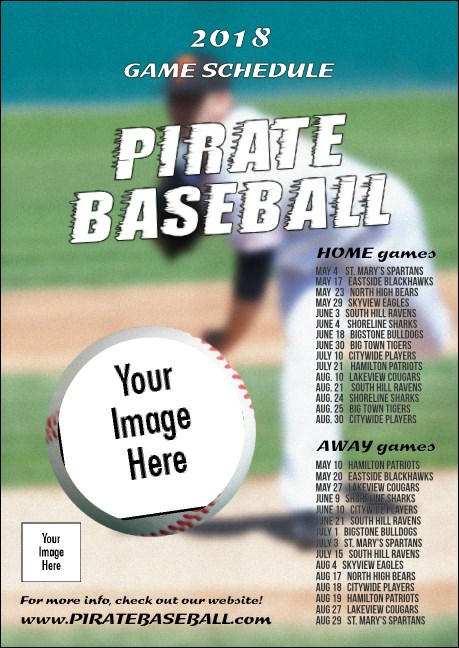 Send out a full season's worth of information with the Baseball Schedule Postcard. Customize for your team with one larger feature image and your team logo. The team schedule stands out against the bright colors of a pitcher throwing a fastball with the field in the background. Rally for a winning season with the right postcard from TicketPrinting.com.